A Coptic Christian school teacher has been sentenced to six months in prison on charges of insulting Islam. 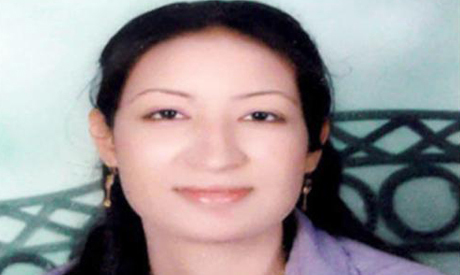 Demiana Emad, a 23-year-old social studies teacher, was arrested on 9 May 2013 after the head of the parents' association of Sheikh Sultan Primary School in Luxor filed a complaint accusing her of insulting Islam. In June 2013, Emad was sentenced to pay a LE100,000 fine. Sunday's jail sentence was ordered by the court in response to an appeal filed by the defendant on last year's fine. According to a year-old report by the Egyptian Initiative for Personal Rights (EIPR), Emad didn't insult Islam, only "presented a comparison between religions in ancient, middle and modern ages as mentioned in the curriculum". The report, which warned of similar cases becoming "a tool to oppress minorities", added that during investigations the majority of Emad's students denied that she had insulted Islam in her class. Charges of insulting religion go back to the regime of ousted president Hosni Mubarak, widely used then as a pretext to crack down on political activists. However, occurrences of the charge significantly rose under the rule of the Supreme Council of the Armed Forces (SCAF) and Islamist president Mohamed Morsi, who was removed from power last July. A report issued by the EIPR last September revealed that since the 25 January 2011 revolution until the end of 2012, a total of 63 citizens, both Muslims and Christians, were charged with insulting religion. Article 98 of Egypt's penal code says anyone convicted of offending religion in any form can face up to six years in prison. Another example of primitive behavior reenforced by barbaric laws founded by a violent lunatic. Nevertheless, why don't you whip her a few times to really show you mean business. Enough with fines and prison. Demand blood, you live for blood, don't you? People have rights religions don't. I respect religion, for it helps people to live I respect history, for it is a mirror of Allah's hand on earth. I respect the truth, for it is the coat of Allah. I respect children, for they are the beloved of Allah. I respect teachers, for they reach out to the heart of children to make them fit for the future. I respect the Law, for it is a tool to find the direction towards a better future. But it is always in the service of humanity never ruling over people, says our nabi Isa. The law who put this young woman in prison for opening the eyes of her students to history, religion and their future, this law is no help but a bitter punishment for eying the truth. May this couragious teacher not be left alone but find many friends who dare to do what she did: serve the truth und Allah. For the sake of our children! @Marianne,fully agree with you.But why this respect is only for Copts and for laws related to insult of any religion.What about those teachers, students, minors girls they sent to jail for years just having different political views then the Egypt ? If a teach do not waive CC flage should be punished..? Shall anyone critiziing the General,police & army or Judiciary should be punished for 15 years ..? All discriminatry laws and practices must be replead either victoms are miniorities or majorities.This hypocracy if dicrimination is done with islamist we should celebrate and same Judiciary and state institutes victimise the miniorities or secularists then we cry. Your stupid comments are an insult to each single human being. Best regards! I agree: Religion needs respect for the holy context it is standing for, helping people to live. I agree: History needs respect, for history is the context we see Allah working with us. And because Allah is the truth, history demands open eyes to see and an open brain to admit the truth. I agree: Children need respect, for they have to grow into a life that needs all senses to develop, and for this they need only the best we can give them. I agree: Teachers need respect, for they struggle hard to meet the soul of the children and to give them what they regard to be the best for the future. I agree: the law needs respect for it helps to organize the society und to structure right and wrong. But: The Law is to serve society and not to rule it. This young teacher is ruled by law and not helped. Her students are robbed from their beloved teacher. And the law did not respect her aim to help the students to understand the world. I hope, God willing, teachers won't fear to teach the truth. having such a law will always be abused. There are always people who will find the most minor comment insulting as their personalities border on hysteria. People often watch the news to know about the stability of a country, and such behavior makes tourists think twice about visiting because even a tourist could be accused of insulting religion. I have spent 4 wonderful holidays in Egypt. I have such happy memories of your wonderful country. But now I would not visit as I think tourists are at risk. Looks like there is Kafurphobia in Egypt.